This was SO simple but the kids enjoyed it and thought it was super cool. Scribble hard with a pencil on white cardstock. Next, rub finger/thumb so it is covered with the lead. 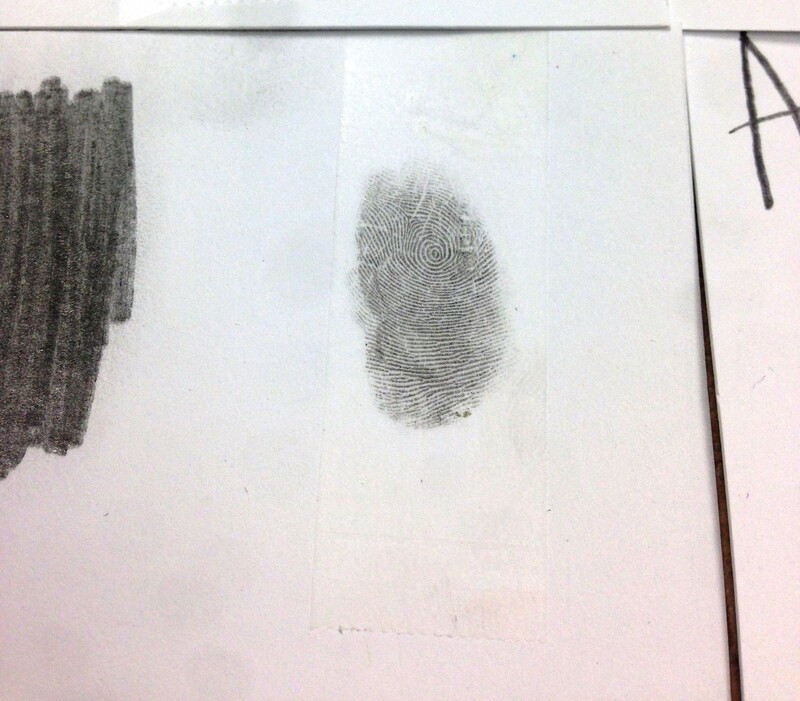 Press tape onto finger and then attach to cardstock. Magic! 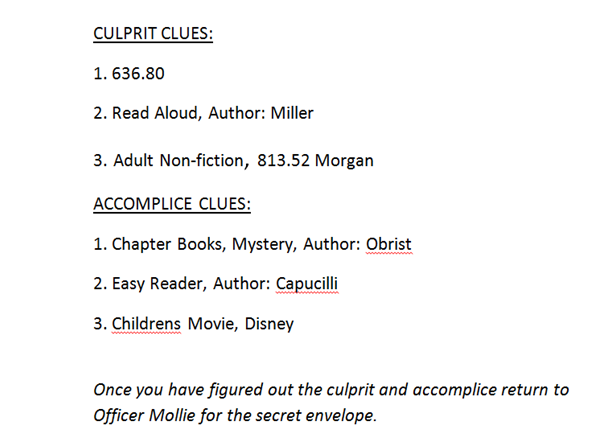 To go along with the police theme, we made up a scavenger hunt to catch library criminals! I told the group I came into work this morning to find a mess in the children’s room! 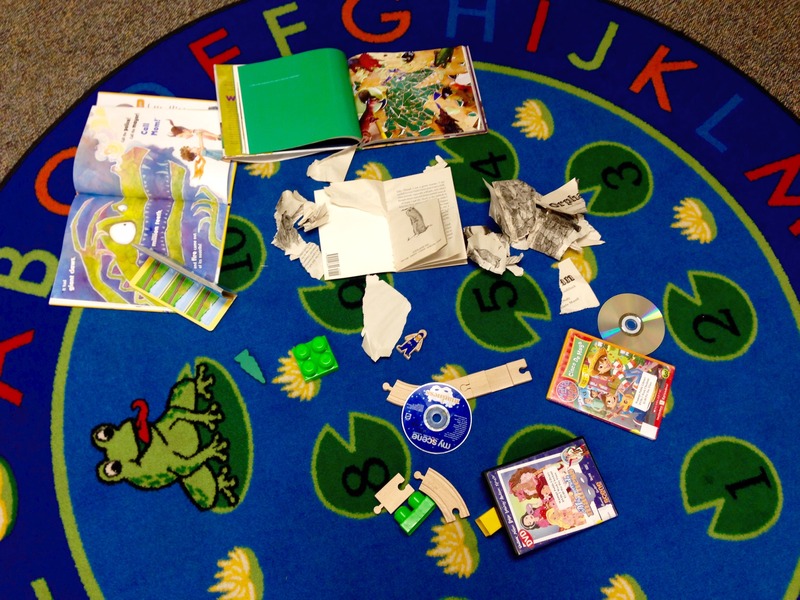 Books were torn, toys were everywhere and library materials damaged. 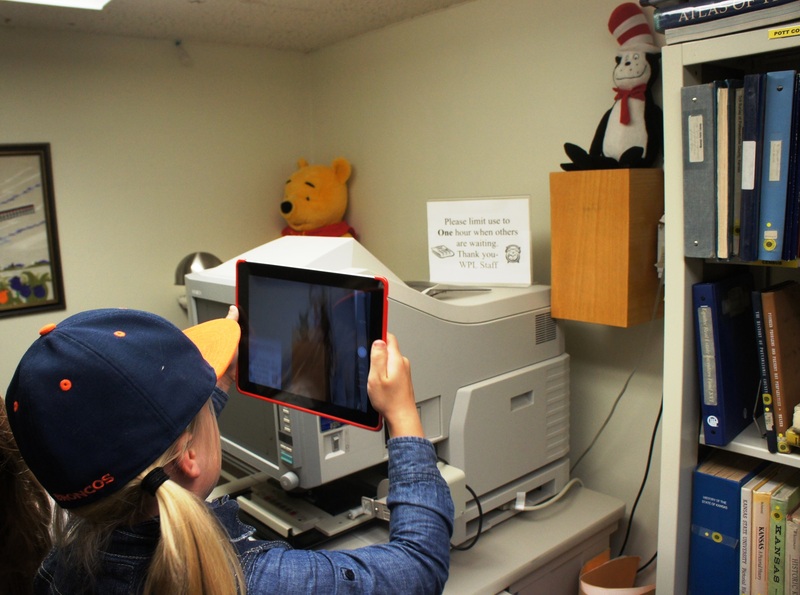 In order to find out who did it and where they were hiding in the library we had to complete the scavenger hunt. 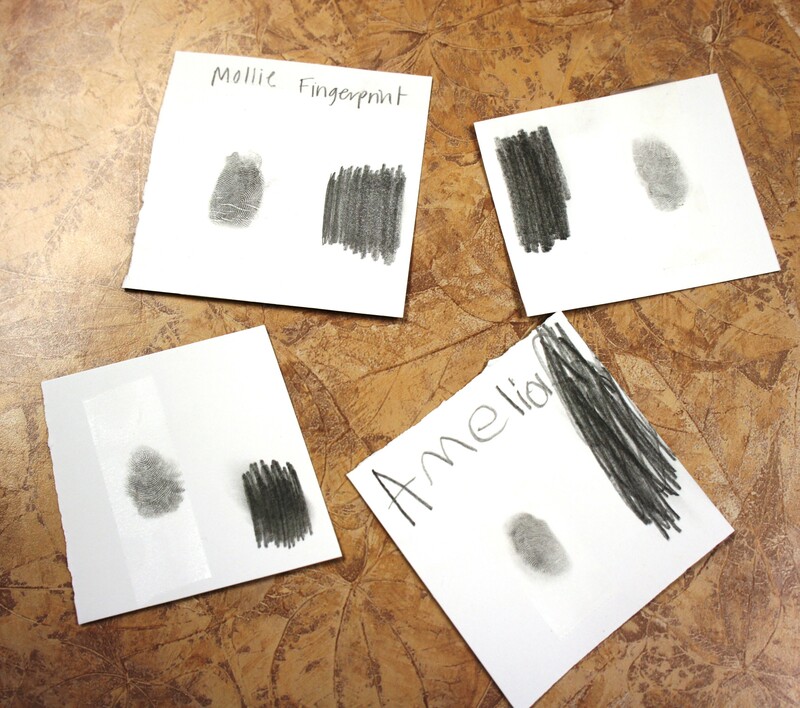 After determining the culprit and accomplice they had to return to Officer Mollie 🙂 for a secret envelope which gave the hiding location of the criminals. 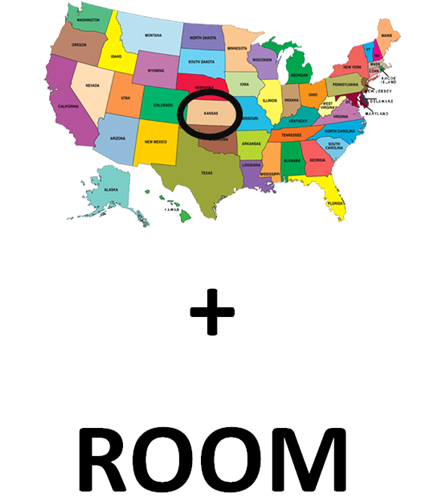 Winnie the Pooh and Cat in the Hat were hiding in our Kansas Room. Once the group found them they snapped a picture and reported back to the station. The group LOVED this! It was such a fun activity for all ages! I highly recommend contacting your local police department or sheriff’s office to come on this day! The group loved seeing a real police officer! 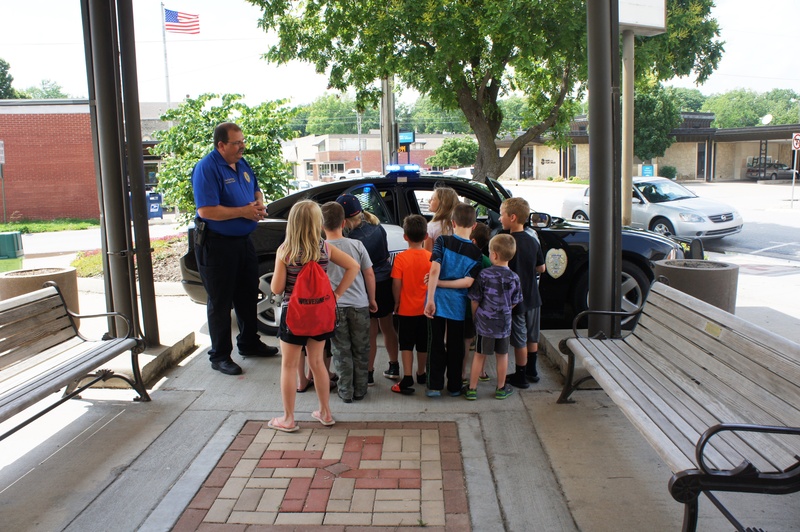 He talked with the group about a day on the job, how to stay safe, and brought his car for them to look in. They had a blast! We made these crafts in storytime but had extra leftover for a few of the older kids to make!